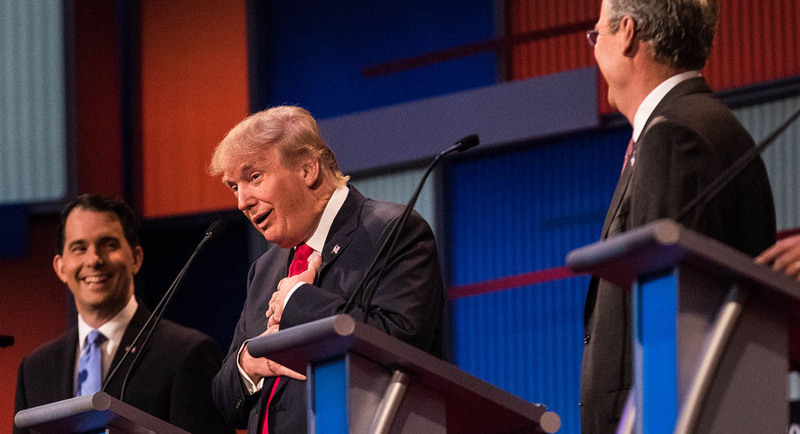 Donald Trump was the dominate player in the first Republican debate held in Cleveland on Thursday night. His performance could be described as volatile, pugnacious and like always controversial. Trump showed he could receive a punch, facing many tough questions from the moderators on Fox News that cited his outlandish comments and his business history. The real estate mogul suffered more than one very uncomfortable moment but was able to avoid the catastrophic downfall that his detractors predicted. 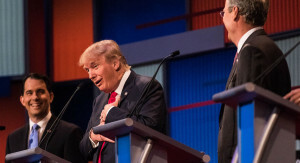 The debate featured many fiery moments, though they all did not include just Trump, who early in the debate joked that the derogatory comments he made about women were only about the comedian and actress Rosie O’Donnell. Another moment that could have been considered the most raucous for the night was an exchange between Chris Christie the Governor of New Jersey and Kentucky Senator Rand Paul over the nation’s security. Former Governor of Florida Jeb Bush, the clear favorite amongst most established Republicans, had a night that can only be described as unremarkable, as he appeared at times tentative and at times hesitant. One certain occasions for example when he defended his comment he made previously that illegal immigrants had been acting out of love by coming to the U.S. to provide for family. He was met with almost complete silence in the Cleveland arena. On other occasions, Bush’s long time away from competitive politics also showed. Other prominent candidates such as Scott Walker the Governor of Wisconsin, who is in third place on most polls and Texas Senator Ted Cruz, also struggled in attempting to gain traction. Marco Rubio a Senator from Florida, Mike Hucklebee the former Governor of Arkansas and Christie fared much better. So did John Kacish the Governor of Ohio, who made full use of being in his home state, which underlined his status as a possible dark horse. However, above all it turned out to be Trump Live from Cleveland, right from the beginning. Trump was booed and jeered when he told the audience that the only woman he referred to as a pig, dog and slob was O’Donnell.